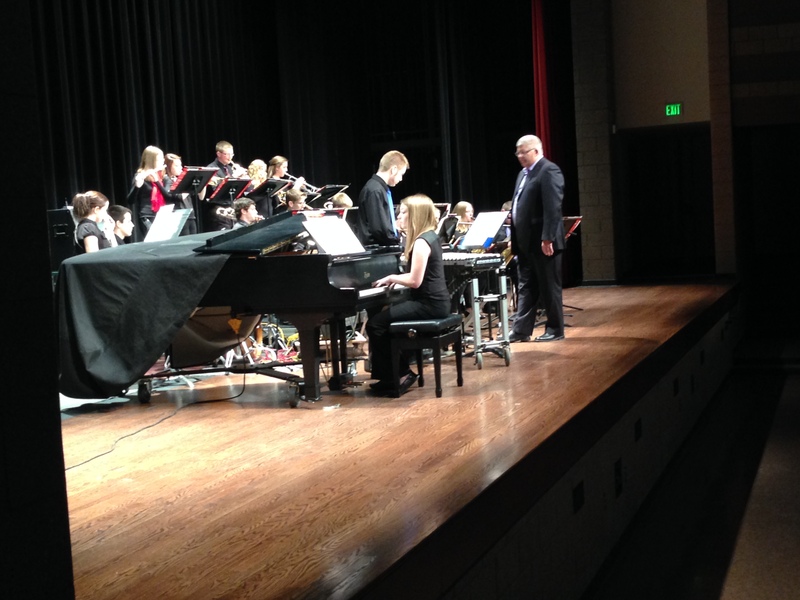 On April 21 & 22, the Ankeny High School, Southview, and Parkivew Jazz bands hosted guest artist Dr. Anthony Williams, trombone professor at the University of Northern Iowa. Dr. Williams’ spend the two days working with the five jazz ensembles, presenting master classes on trombone and jazz improvisation. 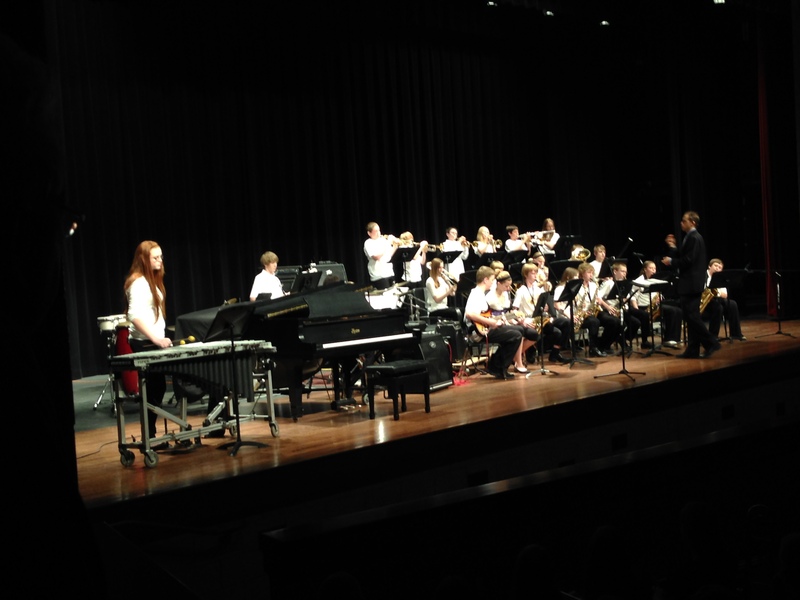 The two-day event culminated with a concert on featuring the Parkview Monday/Thursday Jazz Band, the Parkview Tuesday/Friday Jazz Band, the Southview JazzHawks, Ankeny Jazz Lab, Ankeny Jazz Ensemble, and Dr. Anthony Williams. 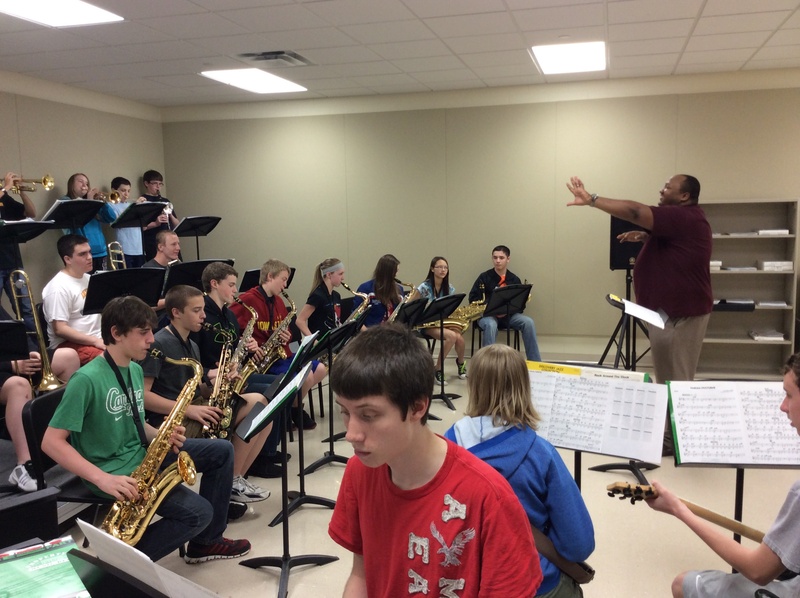 Dr. Williams works with the Southview JazzHawks. 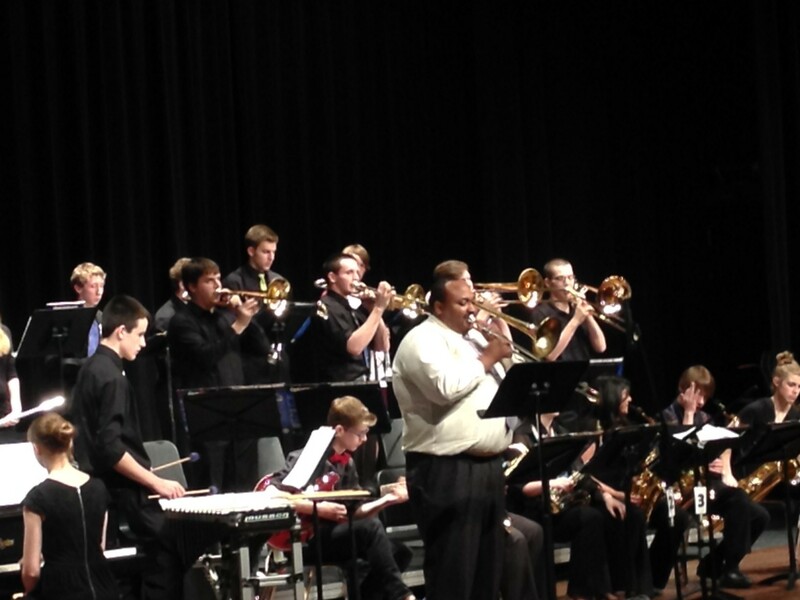 Dr. Williams’ performs with the Southview JazzHawks. 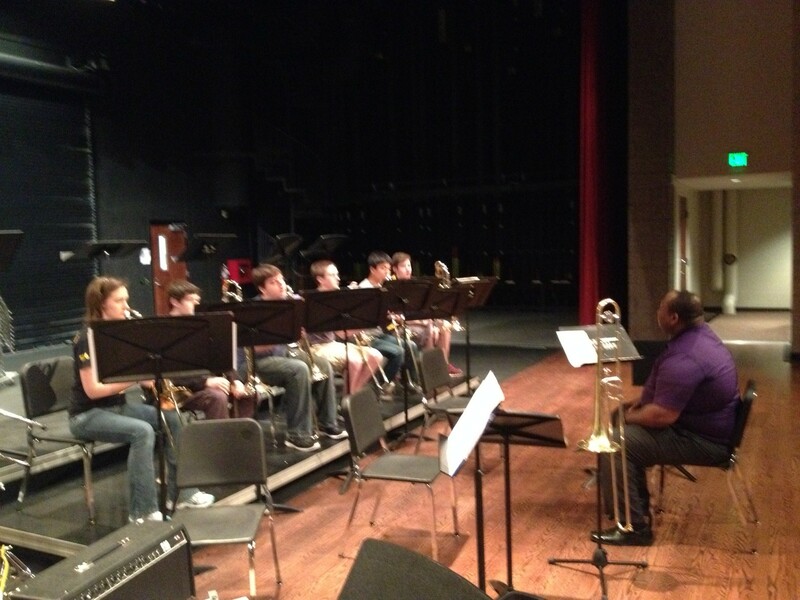 Parkview trombones enjoy a masterclass with Dr. Williams. Jazz Ensemble performs I GOT RHYTHM with Dr. Anthony Williams. 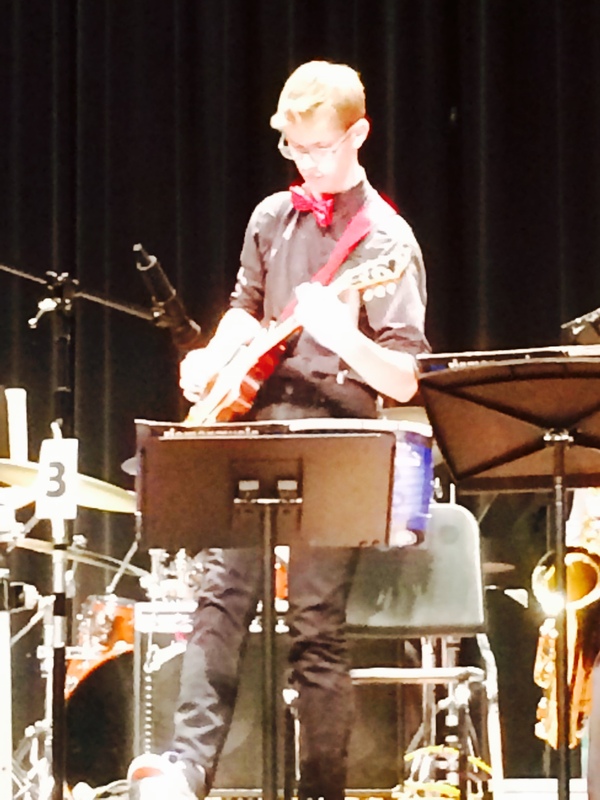 Parkview Tuesday/Friday Band swings on stage on April 22. Dr. Williams works with the AHS trombone section.